INSPIRING HOCKEY PLAYERS WORLDWIDE FOR 35 YEARS! 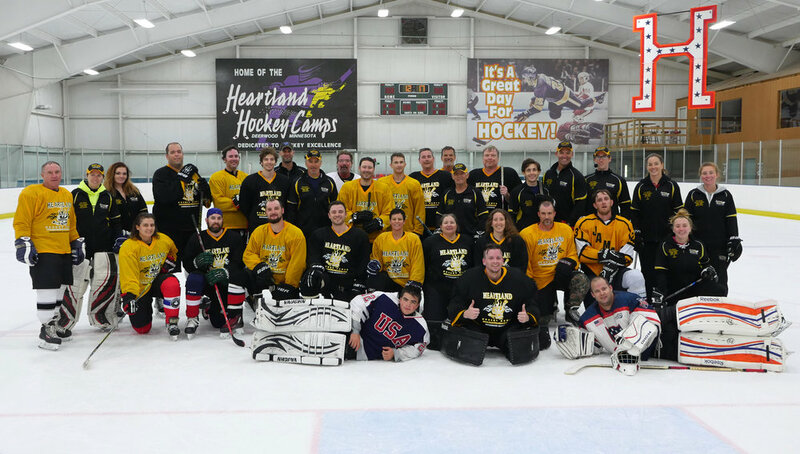 Heartland Hockey Camp is the only self-contained, privately-owned ice hockey camp in the world — located in beautiful Brainerd Lakes, Minnesota. Heartland is owned and operated by Steve Jensen, a former US Olympian and NHL pro who played with the Minnesota North Stars and the Los Angeles Kings. Since 1985, we have dedicated our lives to providing hockey players with one of the most unique training facilities in the world. 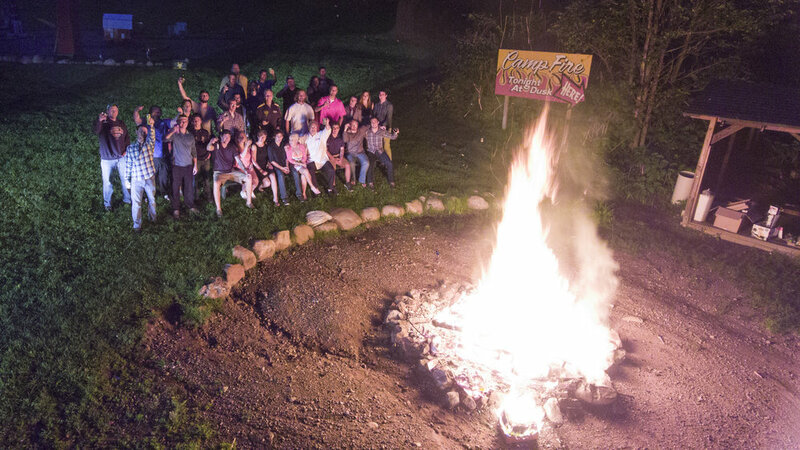 Our 164-acre camp features a state-of-the-art ice arena, full-sized roller rink, tennis courts, mini-golf, 52 dormitory lodging units, spacious weight-room, hockey pro shop, restaurant and 7,600 feet of private lakeshore property — among other amenities. *Newly constructed off-ice training center, featuring 4,464 sq. ft. of workout area. *7,600 feet of private lakeshore property, featuring fun-filled waterfront activities. *World-class coachingstaff, featuring U.S. Olympians, Hall of Famers & Stanley Cup Champs. *Highly regarded 5:1 Campers to Coaches on-ice ratio. *Privately owned ice arena, featuring 6 hours of ice time each day! *Cultural diversity rarely seen at a hockey camp. *Cozy rink-side condo lodging, in a beautiful north-woods setting. We have four levels of youth hockey camps available, as well as a camp for goalies & adults. 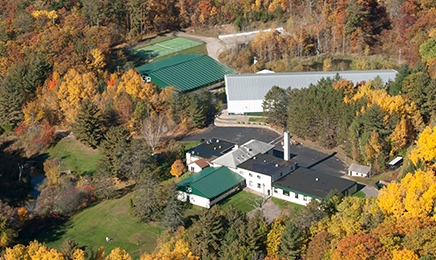 At our scenic 80-acre campus, we offer outstanding hockey instruction — and amenities. 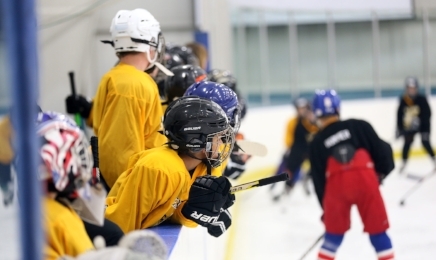 Established in 1985 by Steve and Sandy Jensen, Heartland Hockey Camp is dedicated to providing world class hockey instruction and a wide variety of waterfront activities for hockey players worldwide — while enhancing the spiritual well-being & emotional growth of each individual camper. We are a leader in hockey instruction with over 30 years of success! As owners of the Heartland Hockey Camp, Sandy & Steve Jensen are dedicated to surrounding themselves with motivated, energetic and successful people. The coaches at Heartland bring a tremendous amount of knowledge, expertise and commitment to each training session. Many of our coaches have achieved success as NHL Stanley Cup Champions, NCAA Hockey National Champions and USA Hockey National Champions.